I bought four small mangoes last Saturday and ate them for snack with chili dipping sauce. Today I was having a craving for something sour and made fruit dip sauce to go with kiwi fruit. I bought a kilo of firm kiwi and it tastes a bit tart and makes a perfect snack with sweet spicy dipping sauce. 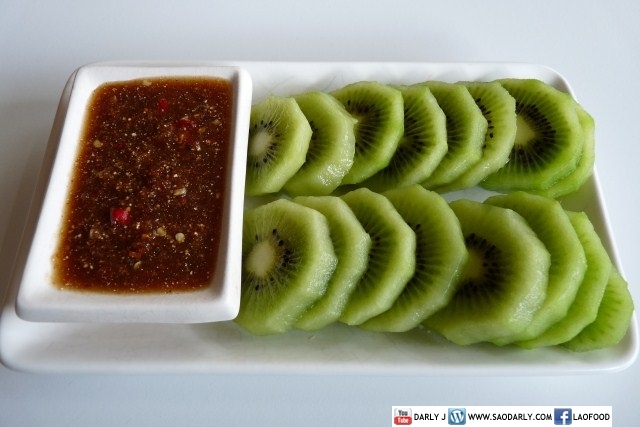 Kiwi fruit with chili dipping sauce was a delicious experiment. I will definitely eat more of this snack since it’s a lot cheaper than buying green mango shipped from Asia.